Tata Tele Business Services (TTBS), the leading enabler of connectivity and communication solutions for businesses in India, introduced SmartOffice solution to the SMEs in Ahmedabad. SmartOffice is an innovative single box solution crafted to meet all Information and Communication Technology (ICT) requirements of businesses. It’s a powerful combo that bundles voice, data, storage and applications. SmartOffice is affordable, reliable, easy to deploy, and is a perfect choice for enterprises looking to start a new office. The product was launched at TTBS’ flagship event Do Big Forum in Ahmedabad, wherein over hundred delegates from the SME community had the opportunity to see this new age device/solution for the first time in Ahmedabad. For SMEs and Start-ups, it’s a typical challenge managing too many technologies and devices, committing CAPEX and OPEX, and dealing with several vendors and partners. The SmartOffice from TTBS addresses these major concerns, and offers an ICT solution which is robust, future-ready and cost effective. It provides functionality of various devices all-in-one box, such as - IP-PBX, Data Router, Wi-Fi Router, Firewall, and DHCP server, to establish telecom infrastructure of the enterprise. The solution thus eliminates the need for setting up separate voice and data infrastructure including Basic Rate Interfaces, Primary Rate Interfaces and local PSTN gateways, thereby substantially lowering overall ICT costs. 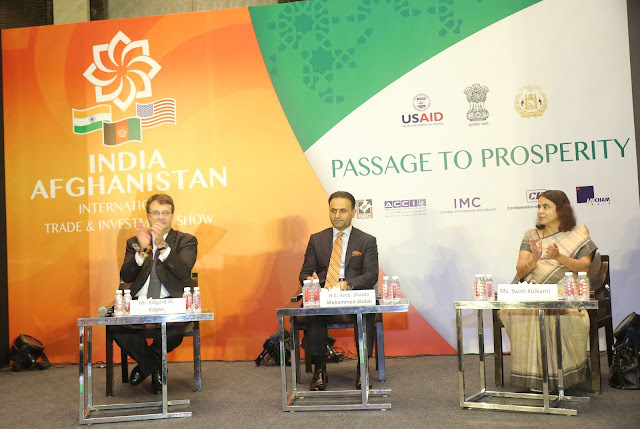 The United States Agency for International Development (USAID), the Government of India, and the Government of Afghanistan announced the second annual “Passage to Prosperity: India-Afghanistan International Trade and Investment Show” today. The event will take place at the JW Marriott Mumbai Sahar Hotel from September 12-15, 2018.
to attend the trade show. During the event, Afghanistan’s finest textiles, carpets, gems, and jewelry will be on display for international buyers. The last day of the show, September 15,2018, is open to the general public. On this day, Afghan vendors will sell their sample products directly to consumers. In addition to product sales, the event provides an opportunity for businesses to develop partnerships, identify investment opportunities, and engage in business-to-business matchmaking in a range of sectors. There will be opportunities in sectors including agriculture, energy, healthcare, higher education, mining, and heavy industry, and others. In addition to helping connect businesses, Indian attendees will share information with Afghan stakeholders about innovative business models, including how to cultivate enterprises focused on women’s entrepreneurship. During the three-day event, attendees will also be able to attend panel discussions on a range of topics, including a panel on Doing Business in Afghanistan. These panels represent an occasion for Indian and international businesses already working in Afghanistan to share their knowledge with others. addition, a number of Indian buyers and Afghan vendors signed Memorandums of Understanding valued at nearly $214 million during the four-day event, and more than $10 million worth of carpets, gemstones, jewelry, marble, and food-related products were sold. This year’s event in Mumbai promises to build on the first show’s successes and expand its impact by reaching beyond India. Chamber of Commerce in India. For more information about the Passage to Prosperity: India-Afghanistan Trade and Investment Show and to register, please visit https://www.passage2prosperity.com. businesses to connect with Afghanistan’s private sector and lays the foundation to promote stronger economies, generate employment opportunities, and build deeper economic bonds between participating countries. demonstrates American generosity, and promotes a path to recipient self-reliance and resilience. 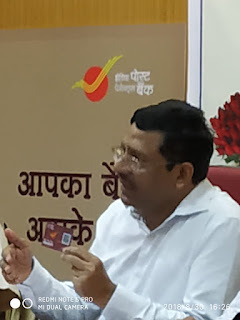 launch function of IPPB at 42 branches. 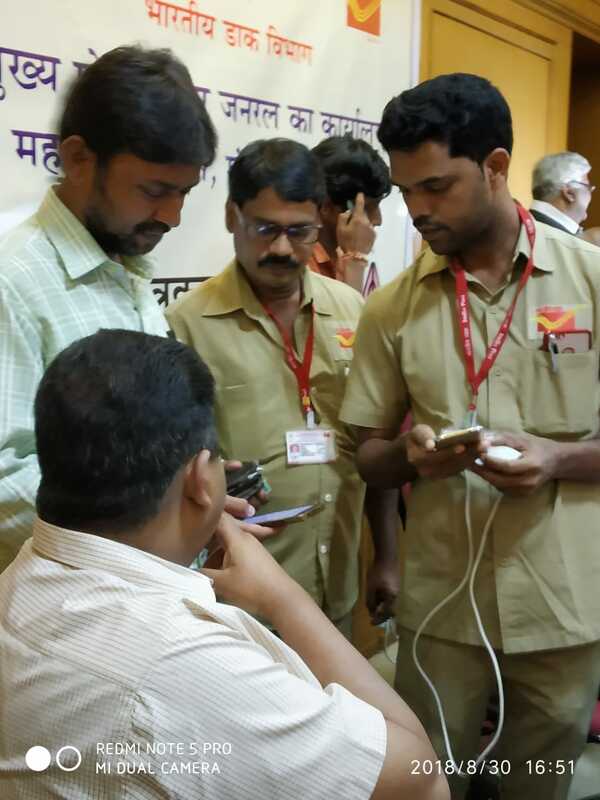 In Maharashtra, already 12428 IPPB accounts have been opened as on 27.08.2018. The Government of Uttarakhand, today organized a roadshow in Mumbai, Maharashtra, in the build up to the ‘Destination Uttarakhand: Investors Summit’ scheduled from October 7-8, 2018. The State’s first ever investors summit will be organized at Dehradun and will be inaugurated by Hon’ble Prime Minister of India, Shri Narendra Modi. Uttarakhand’s maiden investor summit is organized in association with Government of Uttarakhand’s National Partner, Confederation of Indian Industries (CII). 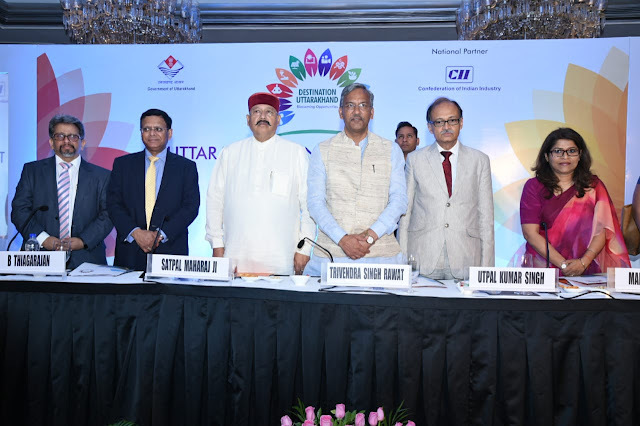 Shri Trivendra Singh Rawat, Hon’ble Chief Minister of Uttarakhand and Shri Satpal Maharaj, Tourism Minister, Govt. of Uttarakhand, addressed the roadshow. Some of the senior officials of Government of Uttarakhand that also addressed the gathering in Mumbai included Mr. Utpal Kumar Singh, Chief Secretary, Ms. Manisha Panwar, Principal Secretary, Industries, Mr. Amit Negi, Secretary, Finance, Mr. Dilip Jawalkar, Secretary, Tourism, Mr. Ravinath Raman, Secretary, Science & Biotechnology and Ms.Sowjanya, Director General & Commissioner, Industries and MD, SIIDCUL. In addition to the Government of Uttarakhand officials, various corporate leaders that graced the occasion include Mr. Mukesh Ambani, Chairman & M.D., Reliance Industries Limited, Mr. B Thiagarajan, Chairman, CII Maharashtra State Council & Joint Managing Director, Blue Star Ltd, Mr. Sushant Naik, National Head – Government & Public Affairs, Tata Motors Ltd., Mr. Vineet Mittal, Chairman, AVADAA Group, Mr. Sunil Khanna, President & MD, VERTIV Energy Pvt. Ltd., Mr. Arun Nanda, Chairman, Mr. Kavinder Singh, Managing Director & CEO, Mahindra Holidays & Resorts India Ltd., Mr. Hemant Sikka, President & CPO, Mahindra Group, Mr. Sankalp Pothbare, Managing Director – India, Bangladesh & Nepal, Kraft Heinz Company Ltd., Mr. Harsh Goenka, Chairman, RPG Enterprises, Mr. R Kannan, Head – CPM, Hinduja Group, Mr. Kapil Maheswari, CEO, Hinduja Renewable Power, Mr. Venkatachalam Kannapan, COO, Hinduja Housing Finance, Mr. Manishankar Ghosh, DGM- Finance, Ashok Leyland Ltd., Mr. Amit Verma, Associate Director- Government Affairs and Policy, Johnson and Johnson. Mr. Hiten Bheda, President, Mr. Jayesh Rambha, Chairman, Plastic Park, Mr. Manish Dedhia, Member, MC, Mr. Deepak Ballani, Principal Advisor, All India Plastics Manufacturers Association (AIPMA), Mr. Ajey Kumar, Executive Director, Zee Learn Limited, ESSEL Group, Mr. Rohit Khosla, Executive Vice President, Taj Hotels, Mr. K.S. Sarvan, Vivasvan International, Ms. Indrani Mukherjee, Furn Bambu Private Limited, Mr. Tharun Giri, The Wildflower Resorts & SPA. Eminent experts of the Indian Film Industry that met and interacted with the Government of Uttarakhand delegation include Mr. Mahesh Bhatt, Producer and Director, Vishesh Films, Mr. Subhash Ghai, Producer and Director, Mukta Arts, Mr. Prasoon Joshi, Chairperson, Central Board of film Certification, Mumbai, Mr.Vikramajeet Roy, Head, Film Facilitation Office, National Film Development Corporation, The Ministry of Information & Broadcasting, Government of India, Mr. Satish Kaushik, Producer and Director, Karol Baug Productions, Mr. T.P. Agarwal, President, Indian Motion Picture Producers’ Association, Mr. Annu Malik, Music Composer and Playback Singer, Mr. Sonu Sood, Actor, Ms. Anuradha Paudwal, Playback Singer among others. The key objective of the roadshow was to share the investment opportunities in Uttarakhand and to seek active participation for ‘Destination Uttarakhand: Investors Summit 2018’. The roadshow received encouraging response and generated huge interest amongst the investors and film makers in Mumbai. The delegation from Uttarakhand Government highlighted the 12 focus sectors of the State, which include Food Processing, Horticulture & Floriculture, Herbal & Aromatic, Tourism & Hospitality, Wellness & AYUSH, Pharmaceuticals, Automobiles, Natural Fibers, Information Technology, Renewable Energy, Biotechnology and Film Shooting. Addressing the industry leaders at the roadshow, Mr. Utpal Kumar Singh, Chief Secretary, Government of Uttarakhand said, “Uttarakhand offers a diverse potential for industrial growth with its robust infrastructure, investor-friendly policies and Ease of Doing Business in the State. We look forward to forge alliances with the business community of Maharashtra for long term business interests and mutual benefits. In order to attract investment into the various sectors of the state and thus contribute to the development of the economy as a whole, the Government of Uttarakhand has taken several policy initiatives. In addition to the State MSME Policy 2015 and Mega Industrial & Investment Policy 2015, dedicated sector policies have been drafted to boost the industrial climate and act as a facilitator of business. Uttarakhand offers a geographical advantage to budding entrepreneurs of Maharashtra. The state`s industry can cater to the important consumer market of the National Capital region due to its physical proximity and seamless connectivity. Important industrial areas of the state lie in the influence region of Amritsar Kolkata industrial corridor which will open up new opportunities. It also has a well-established industrial base of long-standing and reputed business houses, with a large number of ancillary units in Udham Singh Nagar, Haridwar, etc. Major players have set up their units in Uttarakhand due to congenial business environment with their state-of-the-art operating practices being fed into the local production environment. Government of Uttarakhand is organizing ‘Destination Uttarakhand: Investors Summit 2018’ on October 7th- 8th 2018. The summit will focus on showcasing investment opportunities in Uttarakhand and will bring the various stakeholders like investors, policy makers, and trade bodies from the global business ecosystem together. The summit would principally focus on 12 focus sectors, which include Food Processing, Horticulture & Floriculture, Herbal & Aromatic, Tourism & Hospitality, Wellness & AYUSH, Pharmaceuticals, Automobiles, Natural Fibres, Information Technology, Renewable Energy, Biotechnology and Film Shooting. 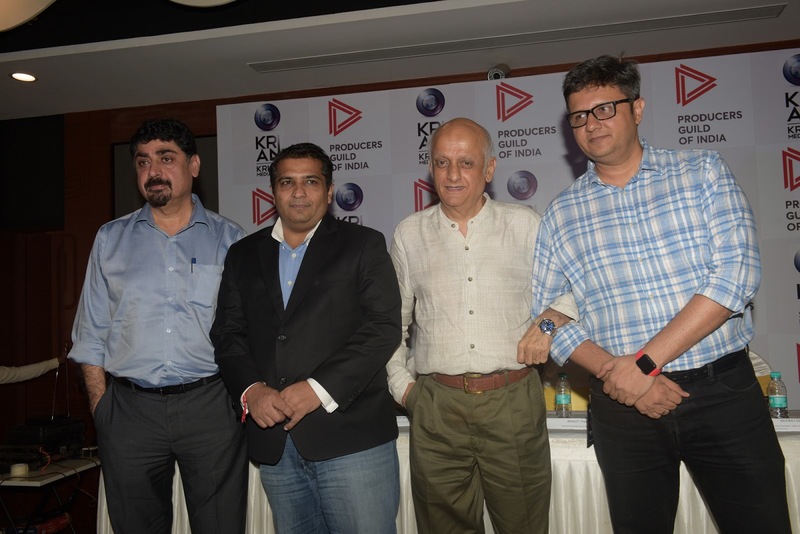 Neeraj Goswamy – Sr. Vice President Sales & Distribution at Viacom 18 Motion Pictures said “This is a much needed digital deployment plan that will benefit the entire film industry at large. Finally there is an end date of paying VPF for Hindi and Other local content. Congratulations to Krian Media for putting this deployment plan together"
Vinod Iyer, Partner of Crown Theatres, Calicut said “We hope that this plan from Krian Media will bring equilibrium to the ongoing issues in The South Indian Film Industry with respect to digital charges. I’m sure that the respective film chambers will find a way to work though the current hurdles and take advantage of the win - win business model launched today. For smaller group of Cinemas to be able to retain their advertising rights is a dream come true"
Krian Media Ltd (KML) is a cinema services company having presence in India, Middle East & North America. The company was formed in April 2012 by Ranjit Thakur, the man who pioneered the Digital Revolution in the exhibition space by aiming at 100% conversion of all cinema screens in the country to 2K Digital Cinema Platform. Allied businesses include new technologies like Virtual Sound Stages & IMAX Private Theatre. NewGen India is one of the leading manufactures, Suppliers and Importers of various gift articles and Promotional Products. Below are a few links to browse the huge product range on offer. You can also visit the website www.newgennindia.com where more than 8000 products are listed with their complete pricing / packaging / packing details et al. By the end of June 2019, more than 15000 products will be available in all the arenas of gifting. Being in this line of business for more than a decade, they have always striven for making a niche of clients for themselves. They are authorised channel partners for more than 70 major brands like JBL, Khadi, Eveready, Park Avenue, Zebronics, Pebble, Cross, Sheaffer, Morphy Richards, Osram, Whirlpool, Art D Inox, Magppie etc. to name a few. They have their own manufacturing set up for Tshirts, Leather Items, Wooden Articles etc. They can fulfil all requirements from pin to aeroplane . Their forte lies in providing value for money that too maintaining quality standards. They are the only corporate gifting company in Mumbai who has been interviewed by any press channel till date and were shown live on NDTV. Please find link below of our for the same.